Foundation Medicine and Caris Life Sciences will alert physicians to patients who are eligible for the National Cancer Institute’s Phase II NCI-MATCH (Molecular Analysis for Therapy Choice) study, through separate collaborations announced this week. The companies said they will inform the physicians, who will work from more than 1,100 clinical sites participating in NCI-MATCH, when their tumor profiling assays identify abnormalities that could qualify a patient for personalized cancer treatment through the study. “The NCI-MATCH trial is vital to learning more about the genomic basis of cancer biology and the best ways to improve cancer treatment for each individual patient,” Vincent Miller, M.D., Foundation Medicine’s CMO, said in a statement. Foundation Medicine said it will identify patients whose tumors are profiled through standard clinical care with the FoundationOne or FoundationOneHeme genomic profiling assays, and are found to harbor genomic alterations being studied in NCI-MATCH. Those determinations, the company said, will be based on Foundation Medicine’s proprietary SmartTrials engine, which is designed to allow alteration-level specificity in matching patients to clinical trials. If a patient is identified at a site that is participating in a trial, Foundation Medicine said, its SmartTrials outreach services will notify their physician that they may be eligible for enrollment into NCI-MATCH. 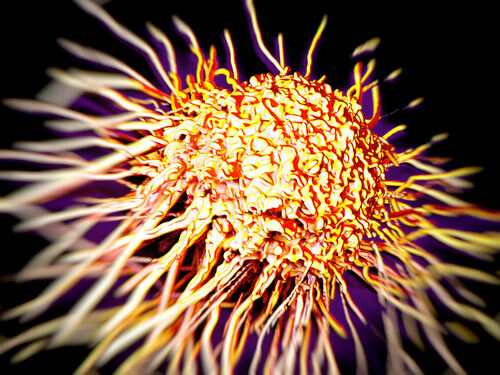 The oncologist is expected to take the information into consideration when discussing treatment options with patients. Caris said it will apply Caris Molecular Intelligence Comprehensive Genomic Profiling Plus (CGP+) molecular testing service. The platform uses multiple tumor profiling technologies to decode cancer—including immunohistochemistry, in situ hybridization, next-generation sequencing, Sanger sequencing, pyro sequencing and fragment analysis. CGP+ is designed to assesses DNA, RNA and proteins, including microsatellite instability, total mutational load, and programmed death-lilgand 1 (PD-L1), with the aim of revealing a molecular blueprint to guide physicians on personalized treatment decisions. NCI oversees the study with the Eastern Cooperative Oncology Group-American College of Radiology Imaging Network Cancer Research Group (ECOG-ACRIN). On Wednesday, ECOG-ACRIN said NCI-MATCH has reached its goal of sequencing the tumors of 6,000 patients, nearly two years sooner than expected. “The results of this signal-finding study may significantly impact the design of larger, more definitive precision medicine-based clinical trials,” added Caris CMO John Marshall, M.D. He is also associate director for clinical care for the Georgetown Lombardi Comprehensive Cancer Center, and chief of the Division of Hematology-Oncology at MedStar Georgetown University Hospital in Washington, D.C.